The dirty little secret of our highly advanced, extremely technological modern society is that nobody knows how to take care of themselves anymore. We’re awash with information, but very little understanding of proper dietary practices. You can blame our 24/7, instant gratification culture or fast food restaurants, but the truth is that a lack of nutritional knowledge is literally killing us. That’s where nutritionists come in, and they’re needed more than ever. 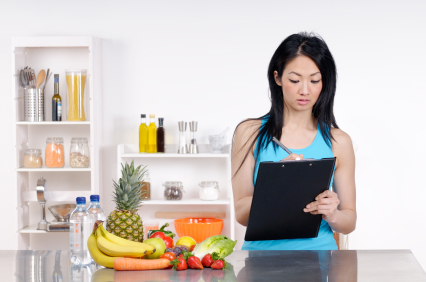 Becoming a nutritionist can be not only very satisfying, but also lucrative as well. Nutritionists work at hospitals, private practices and their own consultancies, assisting clients in creating diets that work well for them. A nutritionist’s job entails taking into consideration the history and unique metabolic needs of patients when crafting a food regimen that achieves results. Above all else, the goal of the nutritionist is to help ordinary, everyday people in finding a dietary match that makes them healthier and more fit overall. As such, they’re a vital part of the health care industry. Quite a few nutritionists today hold a bachelor’s degree in Nutrition Science, although it’s not really required. Dietitians are required to be licensed, and this is strictly enforced. The difference between the two is like the difference between holistic doctors and MDs. As such, a nutritionist can brand themselves as such without any formal education. Still, it makes sense to pursue professional nutritionist training to build clout and establish credibility. The best thing about being a nutritionist is the satisfaction that comes with knowing that you’re genuinely helping people to lead better lives. The pay is also quite good, as the average nutritionist in America makes about $53,250 a year. In addition, a freelance consultant nutritionist can set their own hours, avoid bureaucratic red tape and branch out into other fields. The main downside is working within the medical establishment. Still, it’s a rapidly growing field with a lot of untapped potential. Step one is to enroll in a nutritionist training program that’s available to you and fits your schedule. While local colleges and universities have programs that may meet your needs, it’s not necessary to shell out a lot of money to reach your goal. Online courses are your best bet if you’re short on cash and want to fast track your career. More importantly, you can meet your educational requirements online and apprentice at a local medical practice or nutritionist business while you learn. Where there’s a will, there’s a way. If you truly feel that nutritional or dietary work is in your blood, there are plenty of opportunities for you to pursue.